Do you want to get the most out of your running? Then it’s time to make the most out of your recovery. It is only through recovery that our bodies repair themselves from the stress of running, and get stronger. All the structures such as muscles, tendons, ligaments and bone need recovery time to adapt to your running load. In this blog, you’ll discover which strategies you can apply to maximise your recovery. Most of these forms of recovery you can do at home. Also, things like stretching, foam rolling, and sleep you can easily make part of a daily routine. The key to maximising recovery is to understand that it’s about recovering smarter, as well as faster. Like with your physiotherapy rehabilitation, your body needs time to heal and regenerate. The same goes for the recovery between your running sessions. A light session where you train up to 60% of your maximum heart rate, you can repeat the day after. Yet, if you do a high-intensity interval training (HIIT)session, you need to give yourself a break for at least 48 hours. So, what do you do during this break? What can you do to be as strong as possible for your next session? Read on below, to discover the 9 ways you can maximise your recovery. During your running sessions, you increase the tension in your muscles. Every time you make a step your muscles contract to generate force. Over time, your muscles become stiff and you may experience cramp. That’s why sports massage is a great option to speed up your recovery. Cold water immersion is gaining popularity. Lots of athletes and sports teams use it immediately after, and in the days following an intense performance. It reduces the inflammation caused by exercise and reduce muscle soreness. It has also been shown to improve the quality of sleep. For cold water immersion to be optimal, the water needs to be 10 degrees and the length of time 15 minutes. However, if you are new to this technique, start with 1 minute in cold water and 1 minute rest out of the water, and gradually increase to 15 minutes. You do not need any fancy equipment, a cold bath or wheelie bin will do the job! You don’t need any fancy equipment! 2012 Olympic Champion Jessica Ennis-Hill using a wheelie bin as an ice bath. It is natural for your muscles to become stiff and sore during and after running. This happens because your muscles become shorter in length and is often felt in the glutes, hamstrings and calf muscles. If you stretch, the muscle and tendon fibres lengthen and relax. The type of stretching you should do for recovery is static stretching. This is different from a pre running warm-up of dynamic stretching. You should hold the stretch for 20 seconds and repeat 3 times for each muscle group. After each 20 second hold, you should be able to stretch further. Foam rolling is a form of self-massage. As you roll over your muscles using a foam roller, you apply pressure to the soft tissue underneath. Like with sports massage, you increase the blood flow and lengthen the muscles. The great thing about foam rolling is that you can do it all by yourself. At the same time, the foam roller allows you to increase and decrease intensity. You can also target specific tender areas. 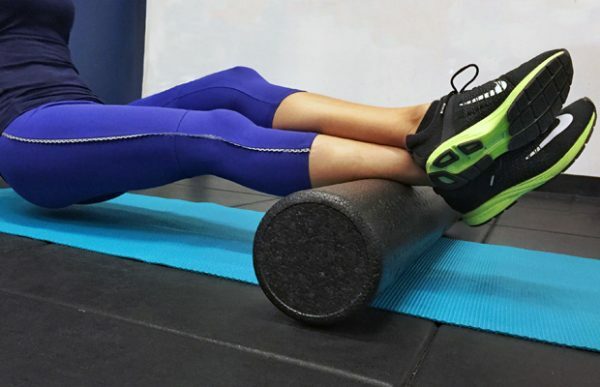 Foam rolling can be painful to begin with. Thus, start of light and use your hands for support. Start with two legs on the roller and then progress to one leg. Finally, you can reduce the amount of support you give with your hands. This way you sink deeper and deeper into the tissue to create a more pressure. The king of all recovery strategies. It’s the most basic one, while also the one that is often neglected. Sleep allows your body to repair itself and strenghten. Your immune system is also re-charged, ready to fight off infections. Without plentiful sleep, your body simply doesn’t recover. The ideal amount of sleep is from 7 to 9 hours. However, during intense training days, aim to get more than 9 hours sleep. After you run, your muscles aren’t only full of waste products. They are also inflamed. These are normal consequences of exercise. Once you rest your body repairs itself and becomes stronger. To improve this regeneration, proper nutrition is key. Two important components are anti-oxidants and fibre. Anti-oxidants help repair damage in the body and fibre keeps the microorganisms in your gut happy. Your microorganisms are a community of millions of bacteria. These make up your immune system and play a significant role in a variety of processes in the body. Like appetite, hormonal excretion, and blood sugar regulation. Compression garments are another recovery strategy that aim to improve blood circulation. These clothes add pressure to your veins and arteries. The blood vessels contract stronger which aids in reducing the number of waste products in the muscles. Another simple recovery strategy that can make a big difference is hydration. 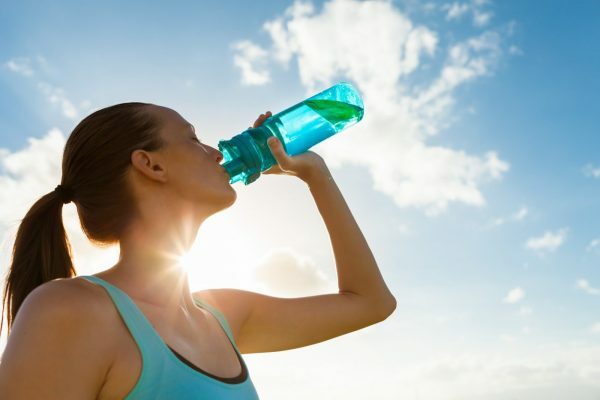 Before, during, and after your running sessions, there should be plenty of water passing through your body. Without proper hydration, there is no circulation and your organs won’t perform at their best. Thus, water is key for a proper functioning cardiovascular system. Are you somebody that does a lot of sports? Aim for at least 2 litres a day, with an increase in training days or hotter weather. Active recovery means that you want to stimulate your recovery through light exercise. Still, this time you aim to slightly increase your heart rate, only up until 30-40% of your maximum. This doesn’t tire the body, but it still improves blood circulation. After an intense run, it is a good idea to go for a walk, cycle or swim the day after. This can also recharge your batteries mentally, as you are doing something different to your normal exercise and routine. So, how was that? Did you learn anything new? Remember to respect the recovery time your body needs between sessions. It is a process that takes weeks, not days. Make these recovery strategies part of your routine and you will notice an improvement in your performance . Don’t wait, start now with maximizing your recovery. Please share with anyone who would benefit from this post, using the social media buttons on the side.